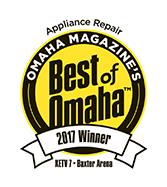 Looking for quality appliance repair in Omaha? At Andy’s, we provide exactly that. In posts past, we’ve done our best to convey some helpful tips in regard to common appliance issues. Now, we haven’t been able to solve every kitchen appliance related problem from behind our keyboard, but our intent has been to point you in the right direction so that if you feel comfortable attempting to diagnose any issues yourself, you know where to start. If the problem isn’t as simple as a routine cleaning of the condenser coils or a tripped breaker, assuming we are talking about refrigerator repair, then at least you can determine whether you need to call in the professionals. But which professionals? It isn’t always as straightforward as dialing the number of the first name you find in the phone book. Or, if you are well-versed in the digital sphere, typing in “Omaha appliance repair near me” into your smartphone or computer. However you search for appliance service, it’s safe to say that some level of research wouldn’t be considered a waste of time by most people. After all, depending on the nature of your appliance, it’s not something to be taken lightly. We are talking about the difference between hundreds and thousands of dollars when it comes to questions like repair vs. replace. At Andy’s Appliance Repair, we believe that you should be able to determine the merits of an appliance repair center by looking at their track record, not just listening to their tips on blogs. While we sincerely hope that we’ve been helpful, every now and then we think it’s appropriate to highlight some of what our customers are saying about working with us at Andy’s. In today’s world, we are perhaps more inundated with companies (of all kinds, not just appliance service companies) advertising through multiple mediums. Sometimes it feels like there is nowhere you can go to escape it. That said, when you need a service from a local appliance repair company (or in some other industry), you need to know who to trust. You need to know how to cut through the wall of noise. How do you do it? How about by listening to people who were once in your shoes, searching for a reliable, affordable appliance repair company in Omaha. We believe these reviews and testimonials are vital to the success of our business, because when people have such overwhelmingly positive experiences, that has a trickle-down effect to our next line of customers. From your perspective, you can hear it straight from the horse’s mouth. 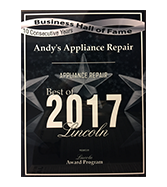 So without further ado, read on if you are interested in hearing what people are saying about Andy’s Appliance Repair in Omaha, Lincoln, and greater Nebraska. First of all, thanks for taking the time, Kent. 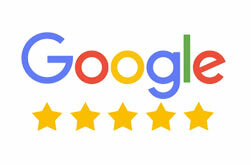 Like we mentioned above, reviews are essentially the lifeblood of our organization. When you consider the fact that leaving a negative review is much more common than the alternative, positive reviews end up meaning all the more for a service-based industry like ours. What we liked in particular about this review from Mr. Pavelka is that he understands you need to find an Omaha appliance repair company you can count on to be reliable and fair. You can’t have someone kicking the tires, so to speak, on your range for a few minutes and then muttering an exorbitant figure without justification. By contrast, Andy’s takes the time to explain what each step of the diagnosis and repair process looks like, always keeping you in the loop. If there is a financial decision to be made, we’ll inform you about your options and provide our recommendations. At the end of the day, it’s your refrigerator, range, dishwasher, or what have you. We will do our best to set you up for success. This is a review that makes us proud of the organization we represent. Hearing how Jeff and his family were pleased because Carl took the time to not only repair their freezer and ice maker, but to actively engage with them so that they were better equipped to understand their appliance in the future is really encouraging. It’s the small things like that example which make working for an appliance repair company in Omaha like Andy’s worthwhile. Thanks, Jeff, for taking the time to let us know how your experience with Carl was. We repair all major appliances. Whether you have an ice maker, range, dishwasher, dryer, washer, stove, or even a built in coffee maker, we’ve got you covered. We have the area’s largest parts inventory, have certified master appliance technicians (like the aforementioned Carl) and are a nationally recognized certified service center. We appreciate Michael’s vote of confidence, despite the fact that appliance repairs aren’t exactly a great time. At Andy’s Appliance Repair, we do our best to make the experience as painless as possible. That means we are knowledgeable and personable, as Michael described. 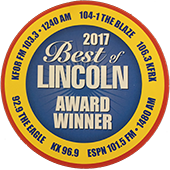 When you include the fact that we’ve won the Best of Omaha (2017) in Omahas Magazine for appliance repair, you start to see why so many people in Omaha, Papillion, Council Bluffs, Bellevue, Gretna, Elkhorn, and beyond are choosing Andy’s Appliance Repair for all of their domestic appliance repair needs. Thanks, Gary, for leaving your kind review here to let others know how working with Andy’s goes. In this case, Gary was looking for Omaha washer repair. We make a point to be punctual, professional, and friendly, just as Gary described. It is always encouraging to hear that we are meeting the mark when it comes to those interpersonal goals. Another element of this testimonials that we loved is the fact that we were able to counsel Gary about going with clothes washer repair, as opposed to full on replacement. As we mentioned above, that is the difference between hundreds and thousands of dollars. We are committed to always having your best interests in mind. Making a quick buck by nickeling and diming customers might do a company well for the short-term, but it’s not a way to grow a sustainable business. On top of that, we are a part of the Omaha community. We’ve been in business with 1971, and that means we treat our clients like they are our neighbors, because they are! 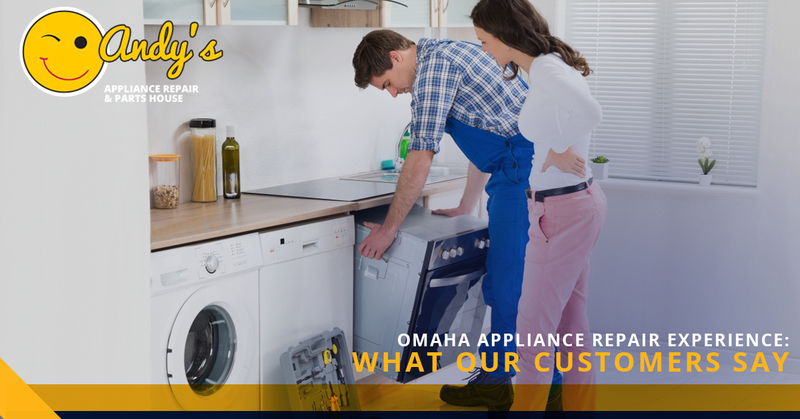 If you are interested in appliance repair service in Omaha NE, or in appliance parts in Omaha, get in touch with us today. You won’t be disappointed!